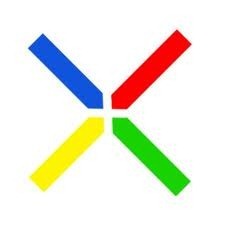 Rumors surrounding the next Nexus, internally known as the "Prime," are really starting to pour out now. Firstly, we saw a document that suggested a rather disappointing screen resolution, which fortunately, was later revealed to be nothing more than a placeholder. On top of that, Eric Schmidt outed the tentative release timeframe for Ice Cream Sandwich yesterday: October or November. With all of this in mind, GSMarea has gotten ahold of some info from a "trusted source" on the Prime, and if true, will be the biggest payload we've seen yet. First up is the name. We've actually heard that it could be called the Droid Prime on VZW, but for the majority of its life thus far, it has been referred to as the Nexus Prime. Like with all devices, this name will most likely change upon release and it is now being suggested that it will be called the Samsung Galaxy Nexus. Not a major change, and, in fact, I think this is the best rumored name thus far. According to the tipster, it won't be sporting a 4.5-inch display like past leaks have suggested, but rather a 4.65-inch Super AMOLED HD display which will be slightly curved, much like the Samsung Nexus S. Keeping in line with Sammy's recent nature of making ultra-thin devices, the Galaxy Nexus is said to be a mere 8.8mm thick with an all-metal chassis, making it just a tiny bit thicker than the global variant of the Galaxy S II. Finally, and possibly most importantly, is the launch date. Right now it's rumored that it will be released at the end of October, which falls right into place with the suggested arrival of ICS. While all of this information is definitely still labeled as a 'rumor,' none of it is outside the realm of possibility. I'm sure this is far from the last leak that we'll see over the next several weeks, so it's only a matter of time before we have a solid idea of exactly what this device will be.